Expressing displeasure over the Central Government’s failure to make its stand clear to the proposition for a permanent commission which will fix the salaries and perks for the sitting MPs, the Supreme Court Bench has told the Centre to inform the court about its stand by March 6. 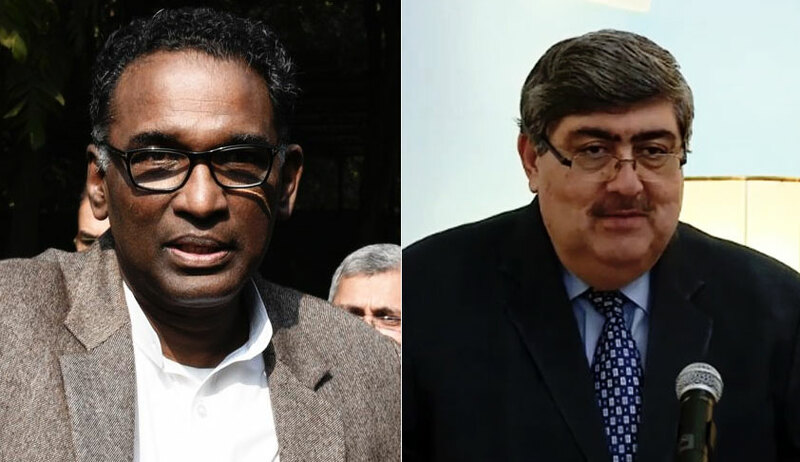 “Your affidavit doesn’t make the stand clear whether you want a permanent commission for salaries and allowances for the MPs,” the bench of Justice J Chelameswar and Justice Sanjay Kishan Kaul said referring to the affidavit filed by the government in September last year. Appearing for the Centre, senior advocate Ajit Sinha informed the bench that the government is considering to set up an independent commission to decide salaries and allowances for sitting MLAs and MPs. However, atleast a week’s time was required to make the picture clear to the court, he added. “Why the Centre always takes the stand that policy matters should be left for Parliament and not to be decided by the court? The Supreme Court asks the government and says that its order on mandatory disclosure of the source of assets by politicians was welcomed by all political parties despite the Centre's objection,” the bench also said and sought specific stand on the issue while posting the matter for March 6. It was hearing an appeal filed by NGO Lok Prahri against the Allahabad High Court’s April, 2016 order dismissing a writ petition which challenged the constitutional validity of the amendments made by the Parliament to the Salary, Allowances and Pension of Members of Parliament Act, 1954, and also of the provisions by which Parliament has legislated to provide for pension and for the grant of facilities to former Members of Parliament. While dismissing the petition, the high court had said the argument that Article 106, which empowers Parliament to legislate on salaries and allowances of its members, is confined only to salary and allowances payable to members and it does not speak about pension, was rejected. It said these matters lie in the province of the legislature and there is no constitutional prohibition on Parliament adopting such a measure of social security for its former members. It also rejected the challenge against the grant of facilities and benefits to those who have ceased to be Members of Parliament. The bench held that the Members of Parliament are elected representatives of the people, chosen to represent their constituencies in the august hall of debate and discourse that represents the essence of Indian democracy. Members of Parliament are elected by the people as representatives: persons who represent the voice and aspirations of the people whom they represent. The grant of pensionary payments is intended to sub serve the need to protect a dignified condition of life to a member after he or she ceases to be a Member of Parliament. The need for a former Member of Parliament to live a life of dignity after ceasing to be a member is not merely a matter of concern for Members of Parliament themselves but an issue which is vital to the functioning of democracy. There is a vital societal interest in ensuring that persons who have held an important constitutional position as elected representatives in Parliament should be able to live with dignity by the provision of a pensionary payment. This is a valid assumption which the legislature which enacts the law can make and one which must pass constitutional muster when challenged before the Court. The conditions subject to which the grant of pension should be envisaged is a matter which lies, in our view, in the discretion of the body which enacts the law ... There is no constitutional prohibition on Parliament adopting such a measure of social security for its former members.